Reserved exclusively for property owners and their guests, the Residents’ Beach Clubs present welcoming gathering places distinguished by beachfront locales, swimming pools, dining facilities, spa services, and other amenities that make a day or an evening at the shore, all the more inviting. 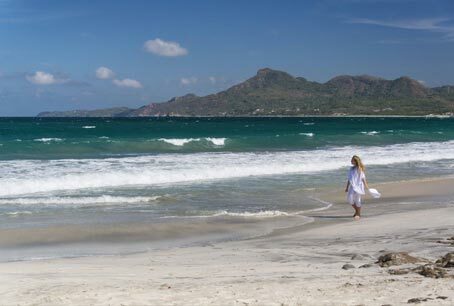 While the original Punta Mita Residents’ Beach Club and The St. Regis Sea Breeze Beach Club overlook the Pacific Ocean, explore the other aquatic horizons of Punta Mita at our two newest beach clubs: Kupuri Beach Club looking out over intimate Litigu Bay, while Playa Fortuna Ocean Club enjoys visits across Banderas Bay toward Puerto Vallarta. 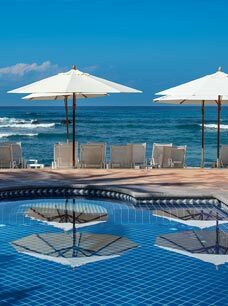 swimming pools for essay help adults and children, full-service restaurant and bar, children’s playground, men’s and women’s locker rooms, and other amenities that make a day or evening at the Punta Mita seaside ever more inviting. 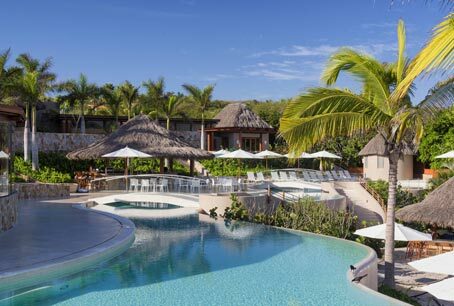 Punta Mita Residents’ Beach Club features two swimming pools: one for adults, located right in front of the sandy beach and adjacent to the restaurant. 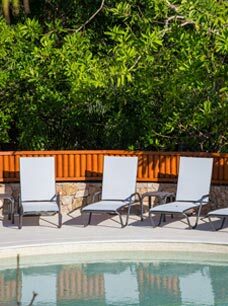 The second pool is reserved for families and children and is located next to a lovely garden area with a playground. The Beach Club has two areas with separate men’s and women’s locker rooms with showers. Delve deeper in the realm of complete relaxation with luxurious spa treatments offered at the Punta Mita Residents’ Beach Club. 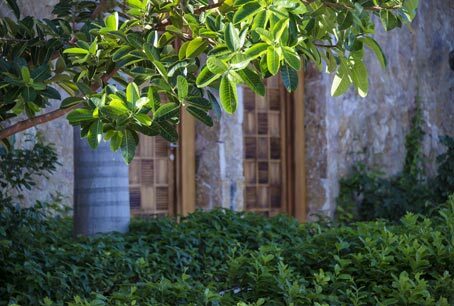 Your journey to rejuvenation begins in the tranquil setting of this natural-setting spa, where only the finest products and services are offered by a team of professional spa therapists. Customize your Mexico spa experience with a complete menu of spa treatments and massage therapies designed to relax the body and mind, while stimulating the senses. Enjoy a massage, pedicure, manicure and facial at the Residents’ Beach Club — or, in the comfort of your Villa. 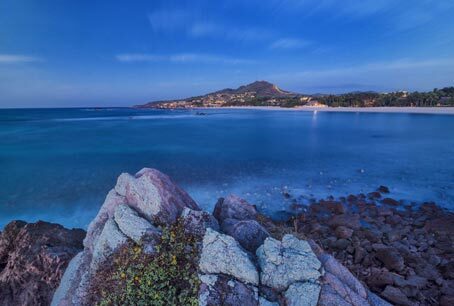 A special 10% discount applies to all Punta Mita Residents. *Prices and menu of offerings are representative, and are subject to change. 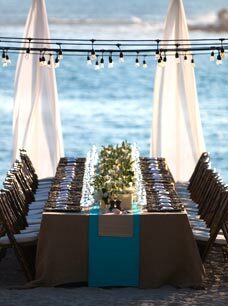 Punta Mita’s Kupuri Beach Club sets a new standard for oceanfront enjoyment. 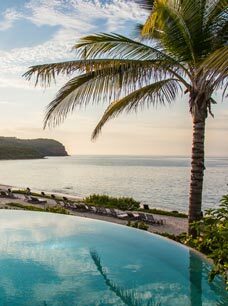 Reserved exclusively for Club Premier Members and their guests or renters, it offers a full complement of luxury beach club services for enjoying the broad sandy beachfront and clear shallow waters of Litibu Bay, and the Punta Mita peninsula. 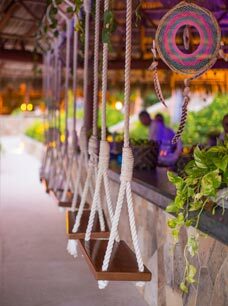 The Club features an almost endless array of activities, redefining how Punta Mita residents enjoy the beach. 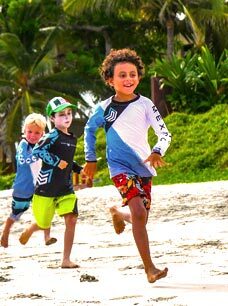 Kupuri Beach Club offers something for everyone: the Coritas Kids’ Club with shallow wading pool is tailor-made for tots, while teens have their own air-conditioned clubhouse with custom essays video games and a roster of activities. The tranquil Navi Spa is an oasis of relaxation featuring treatments influenced by ancient therapies and using ingredients from Mexico’s indigenous cultures. 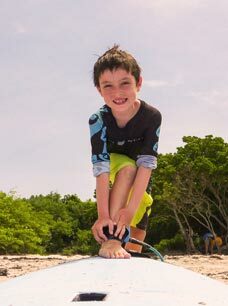 For those who prefer their beach days on the active side, the Punta Mita Ocean Sports program energizes your playtime with top-flight equipment for paddle boarding, boogie boarding, sailing, wind sports, snorkeling, and more — together with lessons or tips for every level of ability from their team of world-class, competitive athletes. 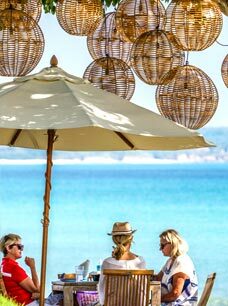 Then, bring your family together again at either the Kupuri Restaurant or the oceanfront snack palapa and bar, choosing from menus of fresh, light fare that is perfect for the beach. 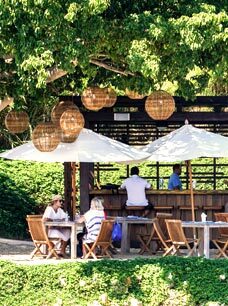 Kupuri Restaurant, with its team of talented chefs, is putting a fresh and innovative twist on casual beach dining. Inspired by our beautiful ocean and the incredible bounty of fresh seafood and regional ingredients available in our area, traditional Mexican techniques mix with a Mediterranean influence to create a vibrant menu of unexpected flavors. With a commitment to using only the freshest ingredients, the menu changes frequently throughout the seasons, meaning a delicious new dish is always waiting to be discovered. 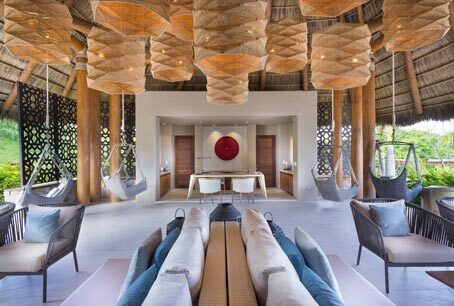 But it will only take one visit to realize that Kupuri Restaurant is poised to become one of the most exciting new dining options in Punta Mita. 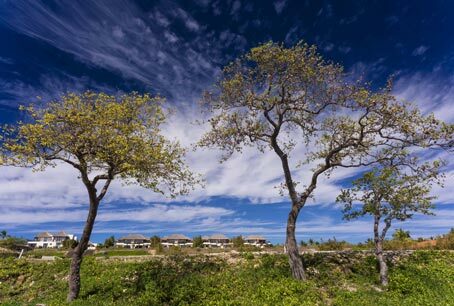 A special 20% discount applies to all Punta Mita Residents (for onsite consumption, not available on villa dining services, not available in conjunction with any other offer). 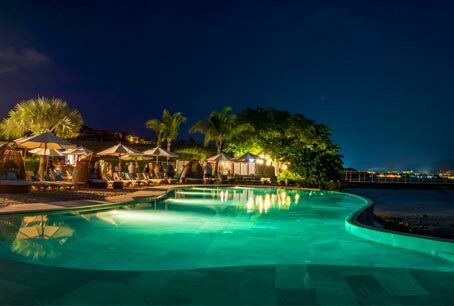 Kupuri Beach Club’s lovely pools offer a variety of spaces for swimming, socializing, and soaking up the sun. Their aquiline waters enjoy a specialized low-chemical treatment process that is gentle to skin and hair. 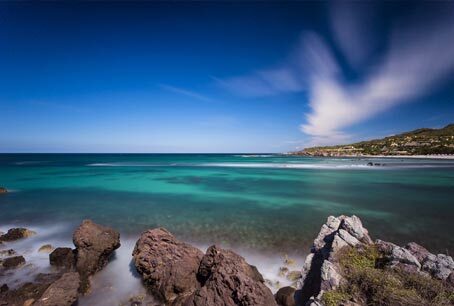 Be dazzled once again by how delightful a dip, or how splendid a swim can be. 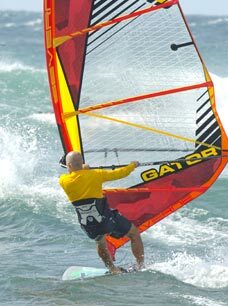 Together with top-line equipment, the Punta Mita Ocean Sports program offers a team of professional athletes who create bespoke sporting instruction and adventures that are unlike anything offered elsewhere. 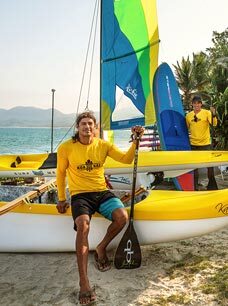 This expert team can take residents on aquatic explorations on all 3 sides of the peninsula, discovering hidden beaches and coves for indulging in their passion for water sports. 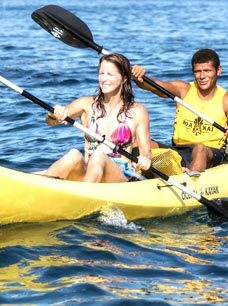 Punta Mita Ocean Sports offers a full menu of activities that changes not only with the daily conditions but also seasonally, meaning you’ll always have something new to try no matter what time of the year you visit Kupuri Beach Club. With one complimentary organized activity or experience per day for members and a wide range of high quality, complimentary equipment, you’ll have a new adventure awaiting every day. Making sure even little beachgoers have a great time, the Coritas Kids Club is ‘fun-central’ at Kupuri Beach Club. The colorful club has all sorts of activities, including a movie area, Legos, puzzles, guided arts and crafts, entertaining cultural activities to learn about native Huichol and Mexican traditions, yoga classes, and a quiet area in case all that fun leaves someone needing a nap. 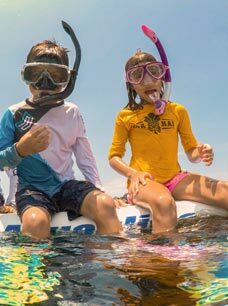 Kids can come for just one or two activities or come for all day fun. 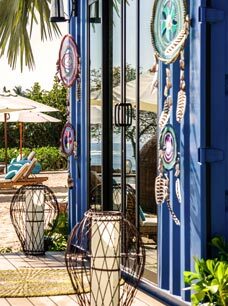 Fashionistas are flocking to the Isla Mita boutique at Kupuri Beach Club to stock up on fabulous, beachy styles with unmistakable Punta Mita flair. With an emphasis on local talent and design, Isla Mita stocks incredible hand-crafted, one-of-a-kind clothing, accessories and jewelry from local and Mexican artisans and labels. Besides resort wear for the whole family, Isla Mita also offers a selection of hats, sunglasses, sunscreen, snacks and other sundries for your day at the beach club and beyond. 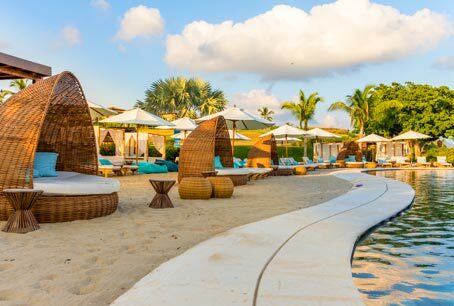 Combining the best of both ocean and pool enjoyment, the recently inaugurated Sufi Ocean Club is the newest of Punta Mita’s collection of singular beach clubs. 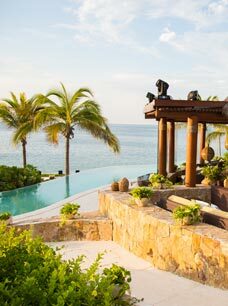 With one of the best locations in Punta Mita overlooking Banderas Bay, it features a salt water pool — refilled daily — as well as sun chairs, relaxation area, and direct access to the calm waters of the Bay via the Punta Mita Pier. 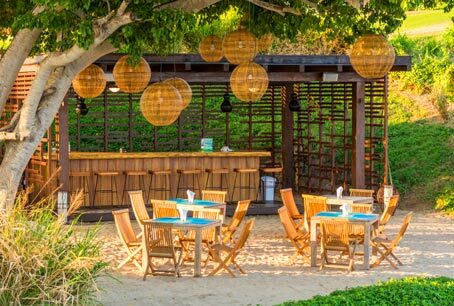 A short stroll along the sand is a palapa snack shack featuring fresh-from-the-ocean bites and cooling beverages, prepared by Sufi Restaurant. 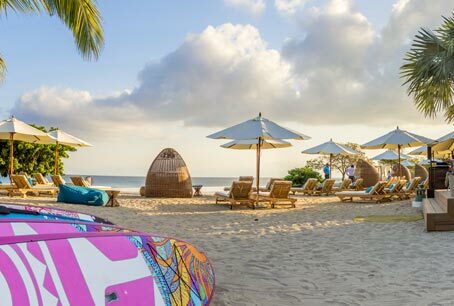 Sufi Ocean Club is located in one of the most coveted oceanfront communities in Punta Mita — Porta Fortuna — and perfectly reflects the Punta Mita lifestyle: family fun on the beach with a twist of effortless tropical luxury. In addition to the Snack-Shack outpost, Sufi Restaurant is located adjacent to Playa Fortuna Ocean Club, offering a more extensive offering from its acclaimed menu that artfully combines Mediterranean and Mexican food, or — ‘Mexiterranean’ — as they call it! 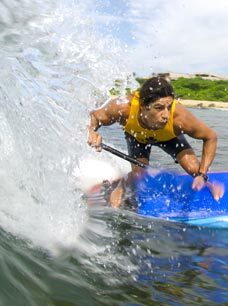 Punta Mita Ocean Sports program provides an exciting team of professional athletes who create bespoke sporting instruction and adventures that are unlike anything offered elsewhere.This expert team can take residents on aquatic explorations on all 3 sides of the peninsula, discovering hidden beaches and coves and a passion for water sports. 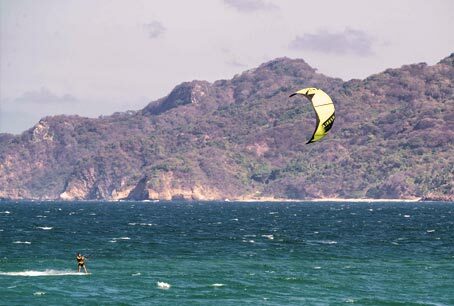 Punta Mita Ocean Sports offers a full menu of activities that changes not only with the daily conditions but also seasonally, meaning you’ll always have something new to try no matter what time of the year you visit Playa Fortuna Ocean Club. 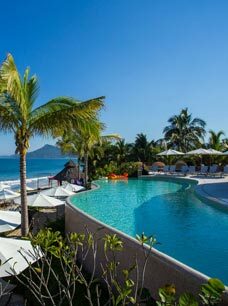 The Sea Breeze Beach Club at the St. Regis Punta Mita Resort is a stunning setting to enjoy a day at the beach, provisionally available for the enjoyment of the Club Punta Mita Members and their guests, via a year-to-year access agreement. Located on one of the most beautiful beaches on the peninsula, it features both a large swimming pool and broad, sandy beachfront. Amenities include comfy sun chairs, attentive pool butler service, the acclaimed Sea Breeze Restaurant and Bar and — for casual, on-the-sand dining — the Mita Mary Seafood boat. 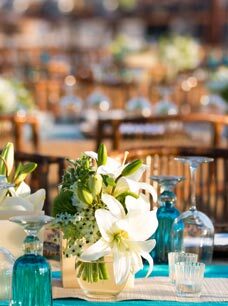 With signature St. Regis service to pamper you, the Sea Breeze Beach Club is a favored place in Punta Mita. 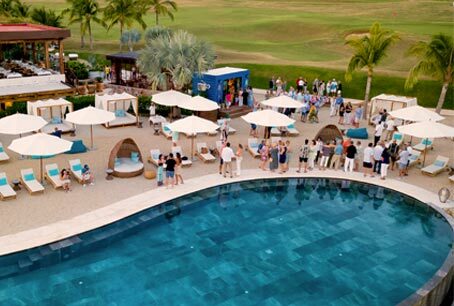 *Access policies: access to the Sea Breeze Beach Club is open to Club Punta Mita Members, subject to capacity limitations, and is available on a first-come-first-served basis. 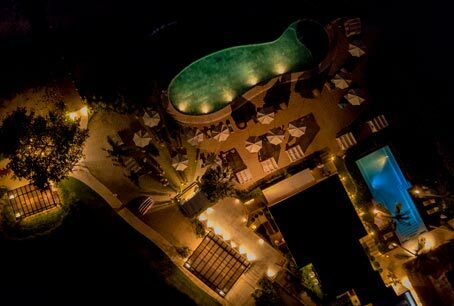 Sea Breeze Restaurant captures the Punta Mita lifestyle at its best, an elegantly casual atmosphere, with stunning ocean views, and signature St. Regis menu options and bespoke service. The menu features Latin-fusion cuisine to satisfy every craving: ceviches, tiraditos, pizzas, empanadas and delicious Argentinean-style steaks from the Wood-burning grill and oven. The adjacent Sea Breeze Bar has become one of the most popular spots for residents and guests. 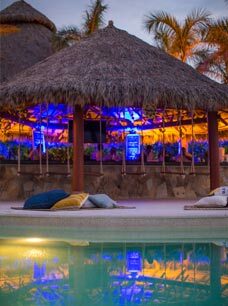 The round bar under a palapa roof is the meeting point for all those looking to enjoy a refreshing drink while catching the latest TV sports, or simply for admiring the ocean views. The focal point of the Sea Breeze Beach Club is its infinity pool surrounded by natural marble and stone surfaces with inviting, shaded lounge chairs. St. Regis Pool Butlers make available an array of amenities to help create a complete pool experience including: cool towels for refreshment, smoothie tasters throughout the day, fresh fruit, sunscreen, magazines and books, sunglass cleaning, and other treats! Menu items and beverages from the Sea Breeze Restaurant are available for poolside enjoyment. 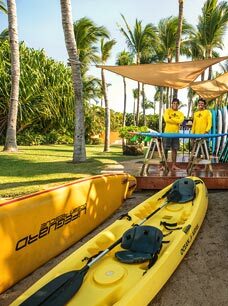 Sea Breeze Beach Club also features the Punta Mita Expeditions Ocean Activities outpost, with onsite paddle-boards, wind-surfers, and boats to take you fishing, surfing or snorkeling/diving. 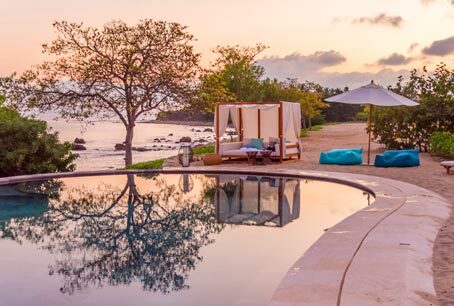 The expert team of Punta Mita Expeditions is available to answer any questions and book your favorite water-bound activity, located adjacent to the pool area.